Styloko.com is the social shopping site and mobile application that connects people to the products they love via a quick, curated, and highly personalised shopping experience. Working with thousands of leading fashion brands and retailers, users follow their favourite labels to see an instant feed of targeted products in one place, and curate their personal online boutique of specific items they love and want to shop. Other features include sale alerts when coveted items go down in price, editorial highlighting the latest trends, and the ability to discover new and trending styles through Styloko’s community of like-minded style-savvy shoppers. 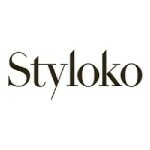 Styloko is a social shopping site connecting people to the brands and products they love from top fashion retailers. On Styloko people can follow the brands and designers they love and discover new products and sales in real time. Join Today to follow and contact Stefanie Adams.